ABOUT FLINTCO GROUND BREAKING SINCE 1908. 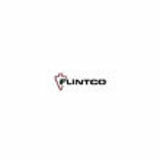 It was music to our ears in 2004 when we capitalized on a reputation for performance, quality and integrity established by a local team already in place that became known as Flintco-Austin. From the "Live Music Capital of the World" and capital of the Lone Star State, Flintco-Austin provides the best of both worlds to our clients: a local team with a history in providing superior construction services, backed by the nationwide resources of Flintco â&#x20AC;&#x201C; one of the largest and most financially solid commercial contractors in the country. I ndus trial Exp erience Flintco industrial clients all have similar objectives – maximize production and operate efficiently to enhance the bottom line. Whether you’re constructing a processing facility, central plant, maintenance building, data/call center, warehouse, or manufacturing facility, Flintco can phase construction and program equipment installation to minimize disruption to your existing business. 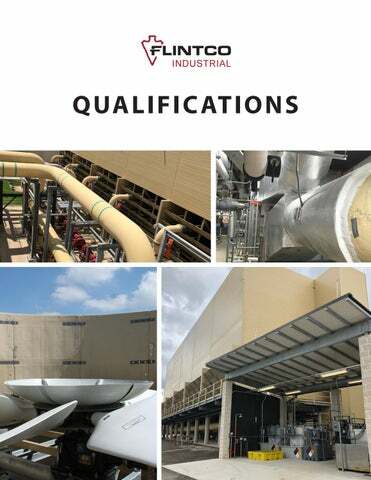 Our ability to provide constructive solutions that are tailored to your organization’s specific needs has been instrumental in our success in delivering these complex facilities. MEP Engineer Affiliated Engineers, Inc.
S afet y | Live I ncident Free Everday Flintco 4 LIFE focuses on process, practice and individual behaviors to improve safety by Living Incident Free Everyday (LIFE). We explore how people think, feel and relate to safety, and look at the role of the organization in providing a safe work environment. The 4 Râ&#x20AC;&#x2122;s are prominent in our approach: Reach out, do it Right, Raise your voice and Recognize hazards. Every day we seek to open channels of communication, build relationships, expand risk awareness and increase the frequency of workers choosing to work safely â&#x20AC;&#x201C; because it is the right thing to do. Flintco 4 LIFE is about creating a workplace committed to eliminating safety incidents and injuries. Flintco cares deeply about each worker going home safety. We strive to provide a work environment where everyone is treated with dignity and respect. The keys to our success are worker assurance, acknowledgment, and contribution. Assurance that what is being done is being done correctly (the actions and the culture that drives those actions). Identifying and acknowledging the things that are being done well (good behaviors), which we want to encourage. Finally, engaging all workers to contribute through conversation and listening. Faced with consistently poor labor productivity—40% is the most commonly accepted number for our industry— many large construction companies within the last 10 years embraced Lean as a project delivery approach hoping to reverse that trend. Many of those same companies lost millions of dollars through poor execution, inconsistent application and lack of commitment to doing Lean the right way. We saw an opportunity. After nearly 2 years of study, refinement and a methodical re-introduction of the practice, Lean2.0 was born—a new term coined and branded by Flintco to describe our approach to Lean. We now have more than 50 Lean projects (and growing) with unequivocal data that validates our simple premise: When done right, Lean works. Calling it Lean2.0 represents our quest for continuous improvement, a hallmark of Lean and our Ethos. The Lean2.0 “mark” is suggestive of a 4-story building and represents the Plan-Do-Check-Adjust cycle that is fundamental to Lean; it also represents the familiar sticky notes associated with collaborative planning and the Last Planner System® that reflect our commitment to the Lean value “Respect for People”. The accent color takes a cue from the Flintco 4 LIFE logo. The tagline Better Construction means working the margins to gain incremental efficiencies at every step, providing more value to owners and is consistent with our company Vision Statement: Unwavering pursuit of the perfect construction experience.